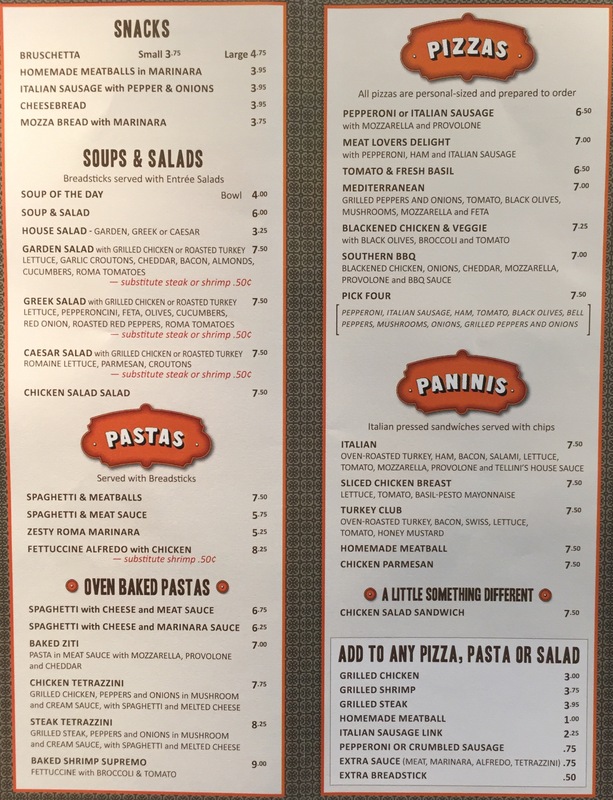 Tellini’s Italiano @ 504 South Gloster, Tupelo, MS.
Today we ordered baked shrimp supremo oven baked pasta, Italian Panini, and house salad with Greek dressing. 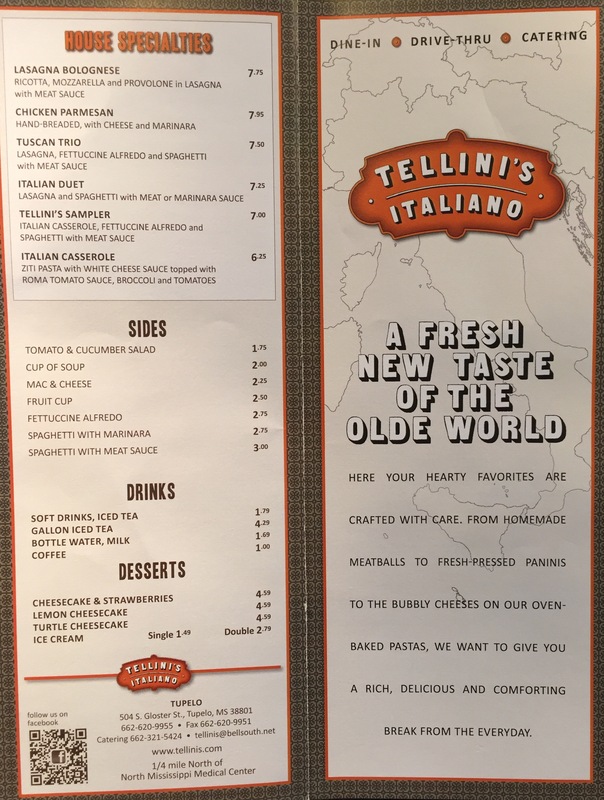 We love eating at Tellini’s. 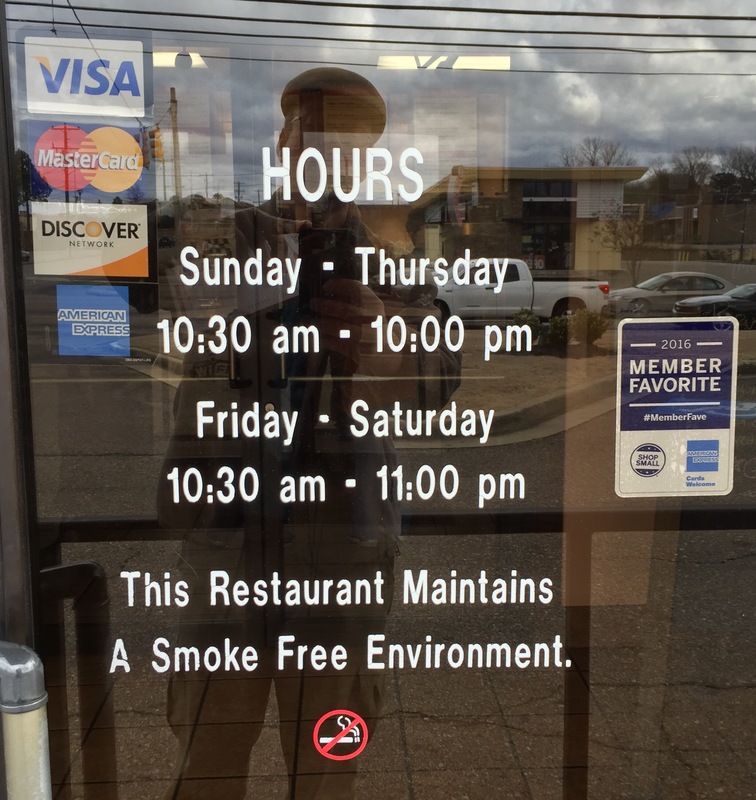 They have locations in Huntsville, Memphis and luckily Tupelo. They are open 7 days a week for lunch and dinner with constant quality and service. We always get our money’s worth and never leave hungry. I don’t know if y’all have noticed, but I’m a big eater. I enjoy quality food, but I also don’t want to leave wanting more. 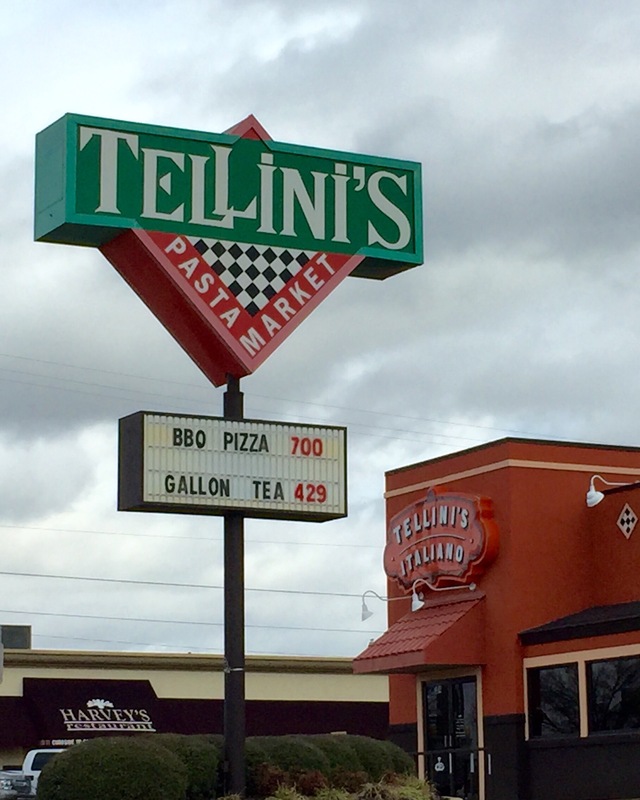 I’ve never had that problem at Tellini’s! 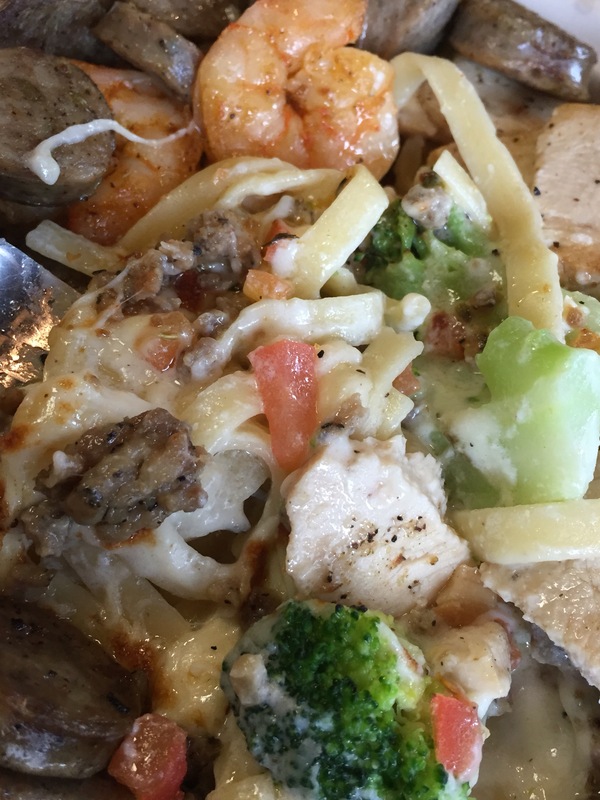 They serve hardy servings with plenty of add-on options. 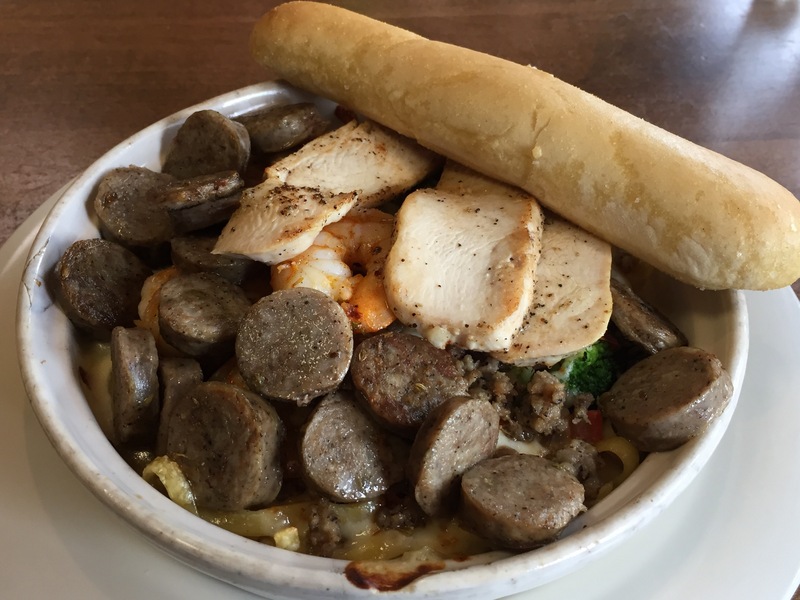 I requested the Baked Shrimp Supremo oven baked pasta, which is fettuccine Alfredo, broccoli, tomato…AND I added grilled chicken, crumbled sausage and sliced Italian sausage links to it! If your hungry and want creamy pasta, loads of tender meat, with a few veggies thrown in…this is what you NEED in your life! It would have been plenty as is, but I wanted to experiment. With up to 11 add on options you can make any selection your own creation. 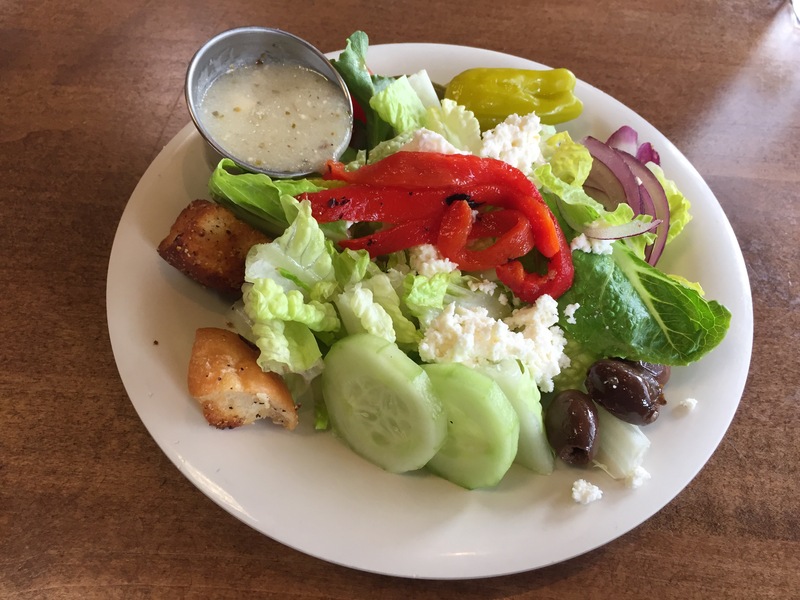 My better half, chose the Italian panini and house salad with Greek dressing. Both looked wonderful and I was assured that it was. 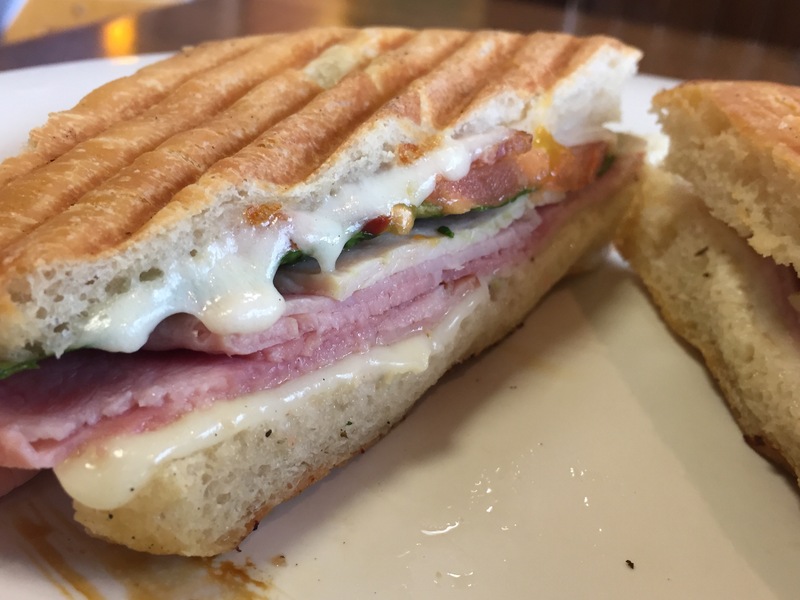 The Italian panini is oven roasted turkey, ham, bacon, salami, lettuce, tomato, mozzarella, provolone, and Tellini’s house sauce. I was allowed a taste and it was very good! 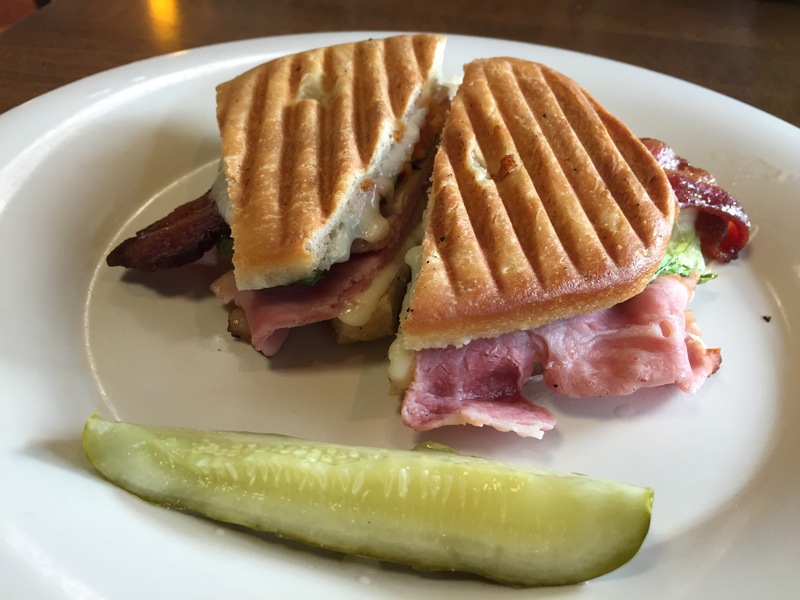 There were a lot of flavors going on but came together for one great sandwich!